Already famous for being the happiest people in the world, the Danes may soon to be credited for coming up with a super sustainable way to light up our cities, using algae. Researchers at the Technical University of Denmark actually believe that the bioluminescent micro-algae, which exist throughout warm parts of the world's oceans, could emit enough blue light to illuminate urban concrete jungles. 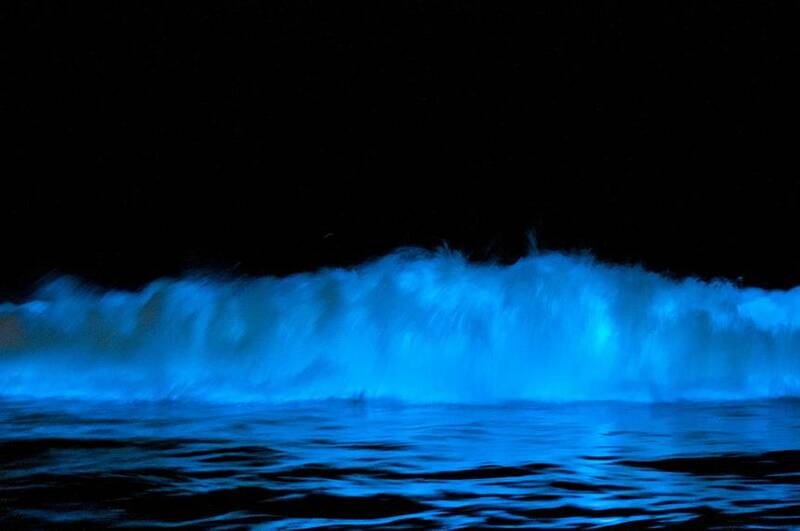 Here's how it works, as described by treehugger.com: The source of the bioluminescence is two molecules, which are activated by a chemical reaction triggered by movement such as the crashing of waves or a passing fish. When this reaction occurs, the algae emit a blue light, but it's only for a moment. So now the question is, how to transfer this process into objects that will emit light continuously, without the trigger of movement..? Well, researchers believe that this chemical reaction can be isolated and then transferred to other, larger plant organisms. In this case, an algae based street lamp would work like a solar cell and battery storage combo. The solar energy collected during the day is converted into fuel for the organism, which it stores and then uses to emit blue light at night. If this gene transference can be done, these bio-lamps could be used to light up parking garages, buildings, shop windows and highways. Imagine! If this experiment succeeds, it would not only drastically reduce the energy it takes to provide safe city lighting - but it would also give our cities a dramatic makeover in the form of a blue hue. We're not sure what blue light does to our complexion, but we can imagine that this illuminated algae may be a trigger for Instagram to come up with some new filters. Speaking of sea inspired lighting; for those of you in Amsterdam between now and August: Make sure not to miss the breathtaking jellyfish inspired lamps by Studio Drift at The Stedelijk!